Kayaking and Canoeing is a great sport as well as an exercise for the lovers of this activity. 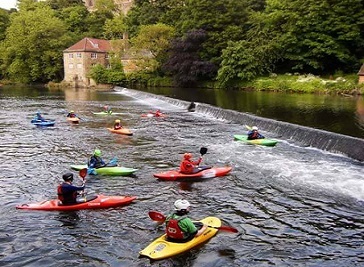 Durham has a great and ideal venue for Kayaking and Canoeing in shape of River Wear. The city of Durham is improving this stunning game day by day by providing great facilities to the people. Large numbers of people are attracted towards water sports to have an adventure and explore the waters. Because of the tough exercise, Kayaking and Canoeing is also a great way to lose your weight. Activities like Kayaking and Canoeing plays great role in keeping you in great shape as well as keep you healthier and fit. If you are a tourist and want to have a great experience and fun of Kayaking and Canoeing, Durham has some great venues at your service. This is not only a great way of leisure but also provide a great opportunity to meet new people. Water activities are always full of fun and adventure for everyone. From a gentle paddle on flat waters to conquering moving water and rapids you will experience the thrill and excitement of the game. Beginners to experts there are something to suit everyone’s need in the waters of Durham. 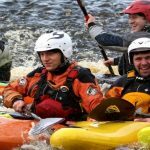 You will remember the exciting and thrilling sport of Kayaking and Canoeing forever in your life. Durham University Canoe Club(DUCC) is one of the most successful university canoe clubs in the country. This club offers something for everyone, whatever their ability or level of confidence is. The club has a relax and friendly atmosphere and the activities here are flexible so members can come along as often or little as convenient. 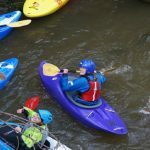 Alfresco Adventures provides water sports activities, full of fun and range from a gentle paddle on flat waters to conquering moving water and rapids. From beginners to advanced level we have something that suit your need. This club also offer various national recognised skills courses including the star awards and foundation safety rescue training. Durham Kayak Club warmly welcomes paddlers of all ages from all over Durham. The club offer paddlers with a positive atmosphere and facilities. The Club is playing a great role in promoting people's participation in healthy recreation by providing Kayaking and Canoeing facilities.